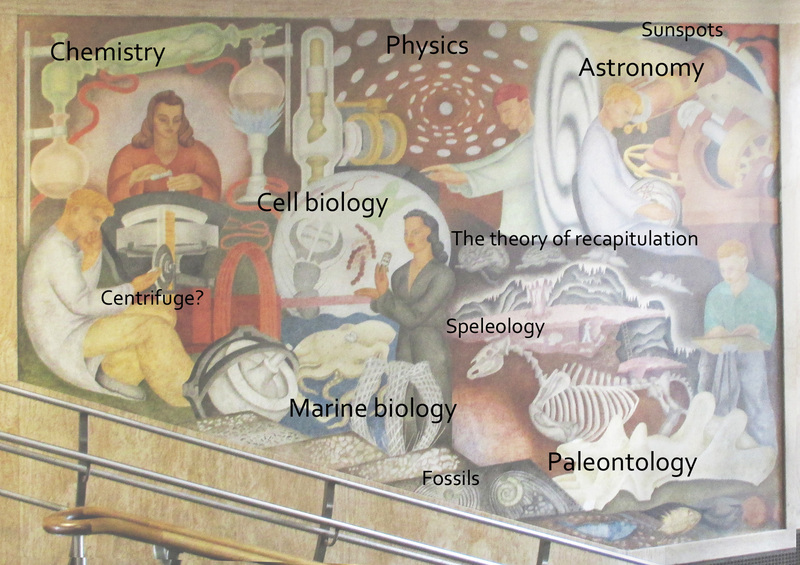 Fred Olmsted’s 1941 twin murals in Science Hall at City College of San Francisco depict many elements of the study of science, along with figures of students, both male and female. 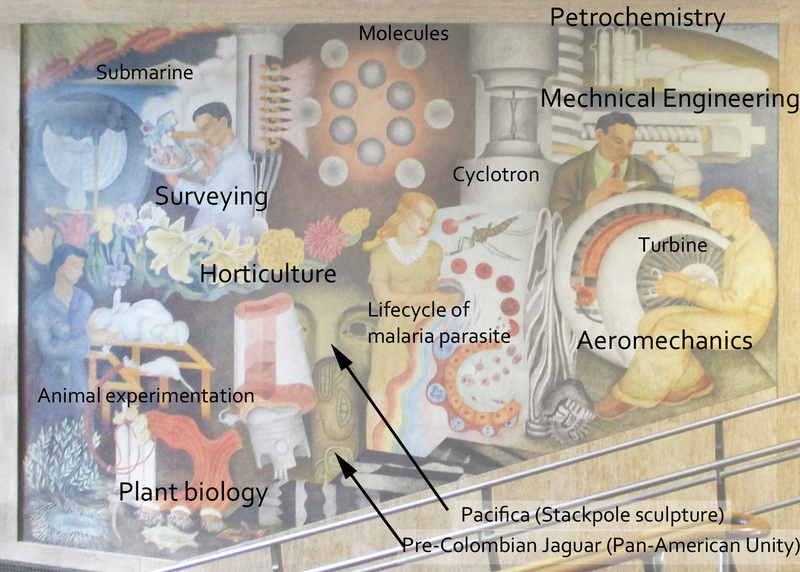 The two images below identify many of the references. If you see one I missed, email me.